Gerry Hemingway, recent recipient of a Guggenheim Fellowship, has had a long and admirable career, as he has been composing and performing solo, ensemble and orchestral music since 1974. 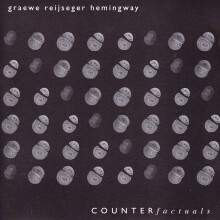 As bandleader, Hemingway has led various quartets and quintets since the mid-1980’s. Hemingway was a member of the infamous Anthony Braxton Quartet from 1983-1994, and more recently has been performing as a member of the Reggie Workman Ensemble. He is a core member of Anthony Davis’ Episteme Ensemble, and has performed and recorded on all of his opera’s including the soon to be released “Tania.” He is also performing and recording with the piano trios and projects of Marilyn Crispell and Michel Wintsch. 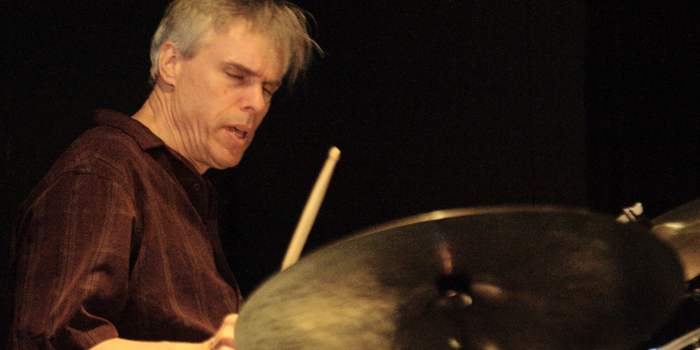 Mr. Hemingway also participates in many collaborative projects including duos with Thomas Lehn and John Butcher, BassDrumBone with Ray Anderson and Mark Helias, and Thirteen Ways with Fred Hersch and Michael Moore. 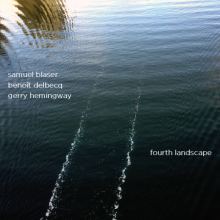 Mr. Hemingway recently composed “Sideband,” a concerto for three improvisers and orchestra, and has completed a recording of songs for the German label Between the Lines.